The term comprehensive insurance is a little misleading. Comprehensive car insurance covers a variety of events but will not cover every non-driving event. Let’s say your car is damaged by hail. 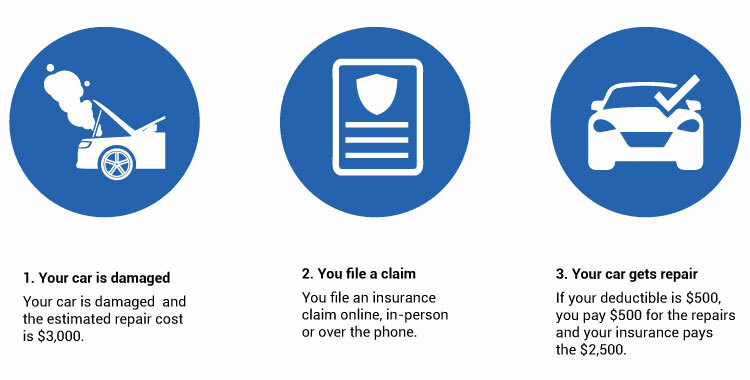 Here is a step-by-step guide to demonstrate how comprehensive coverage works. This coverage does not cover towing, rental, and personal property but a roadside assistance plan can help cover these expenses. The cost of comprehensive insurance coverage depends on your deductible. A higher deductible will mean your premium will be less but you will spend more out of pocket when you file a claim. Your car’s actual cash value will also be a big factor when determining your comprehensive car insurance costs. The actual cash value of your car is the purchase price of your car minus depreciation and your selected deductible. In short, it is the cash value the car insurance company insures.